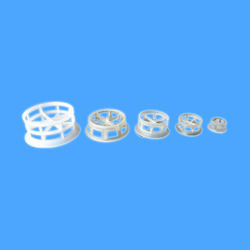 Manufacturer of a wide range of products which include pvdf cmr tower packing ring, pp cmr tower packing ring and fep cmr tower packing ring. 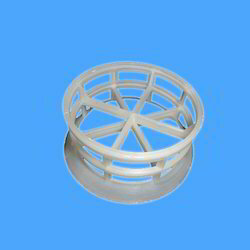 PVDF CMR Tower Packing Ring can be availed from us at the most comprehensive and market leading prices. It has been widely demanded for its resistance to corrosion and chemicals. 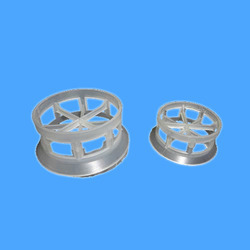 Our company holds immense recognition and reputation in the markets as the prominent manufacturers and suppliers of a comprehensive range of PP CMR Tower Packing Ring. The offered range of CMR where stands for Cascade Mini Rings is made from quality plastic grade. Customers can easily avail this range from us at the most comprehensive legit prices and in a variety of sizes and dimensions. The offered FEP CMR Tower Packing Ring is a quality and renowned product of our product range we have incorporated the best quality plastics in the making of this range customers are offered this range at the most comprehensive and market leading price range.